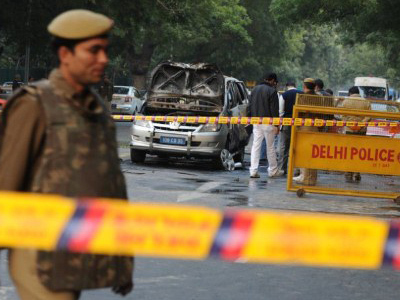 An explosion has destroyed an Israeli diplomat’s car in New Delhi, reportedly injuring two people. A bomb targeting the Israeli embassy in Tbilisi has also been defused. In total four people were wounded in the explosion that took place just a hundred meters away from the Indian prime minister’s residence. Dehli’s police commissioner said the Israeli military attaché’s wife was on her way to pick her children from the American Embassy School. Tal Yeshova was said to be stable and conscious after the explosion. Her driver, 42-year-old Manoj Sharma, had minor injuries as well as two by-standers. Tal Yeshova said a man on a motorbike passed by the car and threw an object at it. Investigators on the scene are currently working to find the man. They are also trying to establish where the device exploded and if it was thrown at the car or attached to it. In Tbilisi Georgian authorities confirmed that an explosive device had been attached to the underside of a car belonging to the Israeli embassy. A Georgian Interior Ministry spokesman said the driver, a Georgian national, had noticed the device. He said he heard something suspicious as he was on his way to the Israeli embassy. He pulled over to the side of the road and saw the attached bomb and called the police. The driver called the police, who managed to safely defuse the device. It has not been specified where the car was parked. 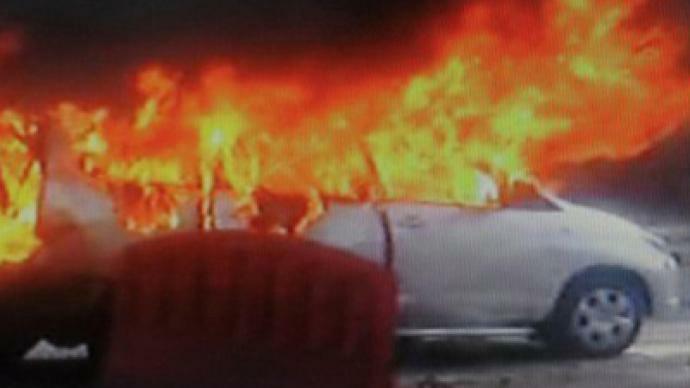 The twin bombing attempts come one day after the fourth anniversary of the assassination of Hezbollah's deputy leader Imad Mughniyah. Last year Israeli embassies around the world received several terror threats on the third anniversary of Mughniyah’s death. The Iranian authorities deny the accusations. Yet there is speculation that the attacks are reprisals against the murders of Iranian nuclear scientists.